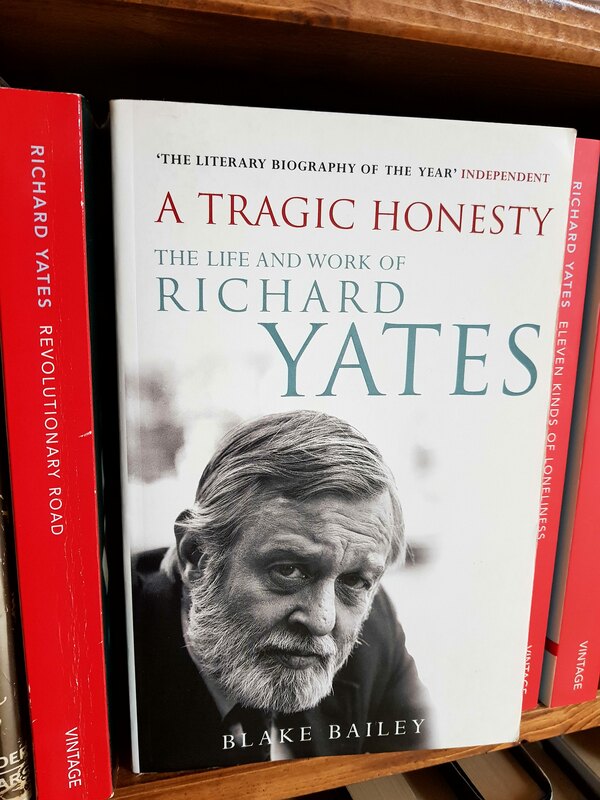 The tragic life of Richard Yates by Blake Bailey…. Blake Bailey’s biography of the author Richard Yates (1926-1992) is a six hundred page account of the remarkably sad life of an author who wrote the quite brilliant Revolutionary Road (1961) Yates’ life was ruined by alcohol addiction and chain smoking, his breakdowns were many and alarmingly public. What could have been a great career capitulated in sequence with his drinking and anyone who has read Yates in order of publication can testify to his decline. America has produced some remarkable literary heroes who were known for their hard-drinking but Yates took it to another level. He was beset with money troubles and shifted from rented apartment to another living in near squalid conditions, barely furnished save for a photograph of his daughters and a desk to write at. Bailey describes his momentous breakdowns with touching clarity, he regales us with depressingly sad accounts of Yates running around a writers conference in Vermont in 1962 stark naked, declaring himself the Messiah interspersed with moments of great loneliness in which alcohol and cigarettes were his only comfort. Yates was a victim of a broken childhood, his parents divorced when he was three and he was brought up by his mother, herself an hysterical drunk. Like his adult life, he flitted from town to town and never witnessed normality. Bailey, through his many interviews with Yates’ family, friends and associates paints a picture of an author and a man who probably knew his literary ability better than his fans, including Bailey. Yates wrote well in places but not brilliantly, he was capable of moments of profound writing but his career was a continual struggle and one will never know if it was the lifestyle which inhibited his writing or his level of writing which encouraged his drinking. What is clear from Bailey’s book however, is Yates’ passion for writing and how that distraction possibly prolonged his life. I enjoyed Yates’ writing, I wish he had written more and done so in a better state of mind and body, that he wasn’t more successful with the general public during his lifetime is difficult to understand because he wrote of real life Americans living real lives in a mortgaged suburbia with often quite disturbing clarity. He was a man whose habits bore him continued ill health for a number of years, clearly older than his years, he feared loneliness and old age. His death at sixty six spared him the latter.